When would you need this: When you need to configure your router to operate on ADSL line provided by an ISP. Special Requirements: ADSL WAN interface on the router. When would you need this: When you need to configure your router remotely through an insecure environment. Special Requirements: IOS version over 12.1.3.T (with a "k9" in its feature set). 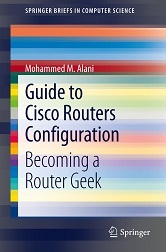 When would you need this: When you need to setup Telnet on a Cisco Router do facilitate remote configuration. When would you need this: When you need to setup dynamic routing for a large network and not all your routers are Cisco routers. It is being currently used to support MPLS routing and IPv6 routing. This article is a continuation of the previous article on Configuration of Mutiple-Area OSPF on Cisco Routers. Refer to the previous article for the essential configuration of Multiple-Area OSPF. When would you need this: When you need to setup dynamic routing for a large network and not all your routers are Cisco routers. When would you need this: When you need to setup dynamic routing. When would you need this: When are setting up your own Frame-Relay network. Usually, it is used for lab setup. Special Requirements: A Cisco router with at least two serial interfaces. When would you need this: When you connect two Cisco routers through a WAN connection, or back-to-back router setup. Special Requirements: Both routers needs to be Cisco routers. When would you need this: When your ISP gives you dynamic IP address upon each connection or you need to configure the router to obtain its interface IP address automatically.